Achieving salon-smooth hair removal at home has never been easier. 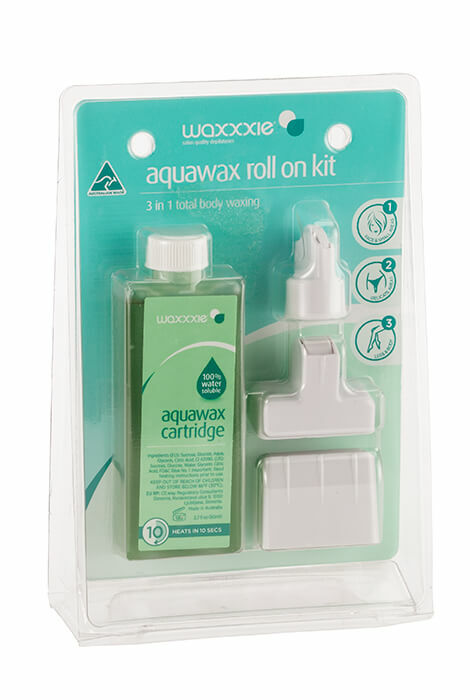 Developed by professionals using advanced salon formulas and technology, Waxxxie® Aquawax 3-in-1 Total Body Roll On Kit includes everything you need for gorgeously smooth results. The easy roll-on home waxing kit lets you heat, roll and wax. No spatulas or electric wax heaters needed. 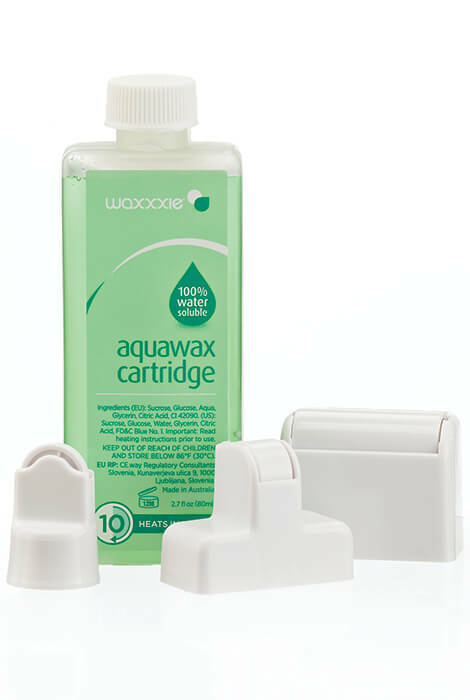 The 100% water soluble aqua wax formula leaves no sticky residue and simply washes off in water. Sugar-based wax formula warms in 10 seconds in the microwave. No resins or harsh chemicals, vegan friendly. Instant salon quality results. Includes 3 roller heads for face, delicate areas and body. Contains 12 reusable hair removal wax strips. 1. Hold cartridge on a 45 degree angle upside down and slowly roll over the skin in the direction of the hair growth. 2. Place wax strip over the wax and smooth down firmly. 3. Hold skin taut with one hand and gripping on to the edge of the wax strip, quickly pull back in the opposite direction of hair growth as close to the skin as possible. Sucrose, Glucose, Water, Glycerin, Citric Acid, FD&C Blue No. 1. I order this item to give it a try, if it works well, I will order it again.